Varietats: Unicorn, Squeeze Popper by Cheatwell Games + Giveaway! 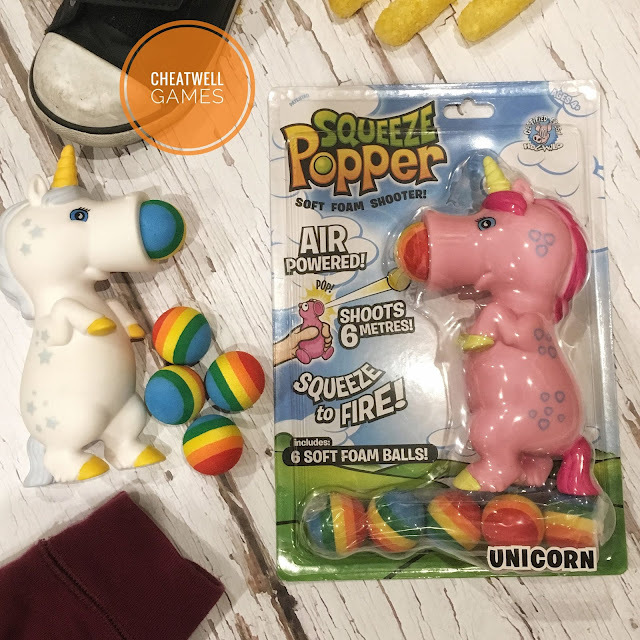 Unicorn, Squeeze Popper by Cheatwell Games + Giveaway! I am not sure if you know the Squeeze Popper collection, is a really cute family of animals that will be the delight of your children! "Pop a ball in their mouths... give them a powerful belly-squeeze... and KAPOW!... the soft foam ball shoots up to 6 metres!" I have to admit that I haven't tried to shoot the ball as far away as possible, I simply tried to make my little one enjoy the Unicorn, and it was worth the work, he loves to play with his Unicorn and for now he is simply throwing the ball to the floor, we'll see for how long...! 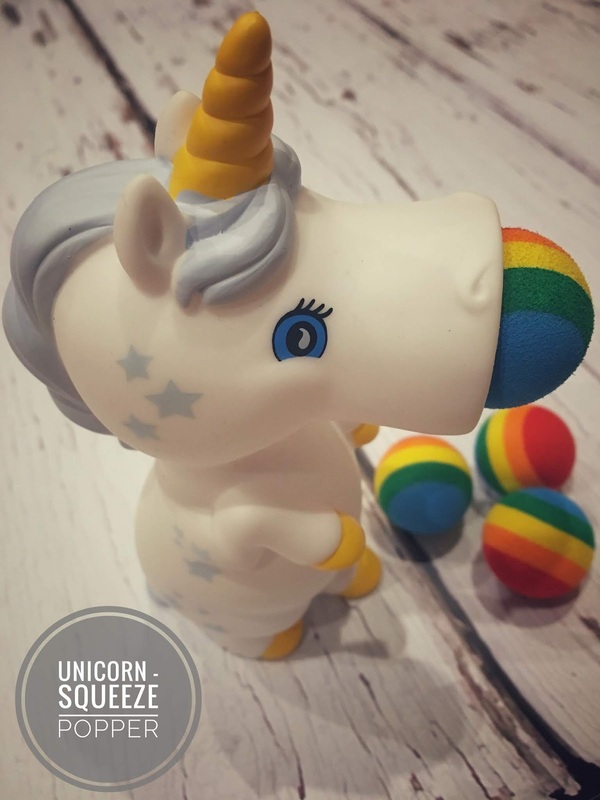 The Unicorn is really soft and easy to push and it comes with 6 rainbow foam balls, that I am sure you will lose around your home the first day you'll play with the Unicorn, that's why there are so many in the packet, you'll always have another one! This is a toy recommended for children with more than 4 years, it can be dangerous if the kid puts the balls in their mouth or tries to throw the ball to someone, so be careful if you let little kids play with it. It is an amazing toy, but always with a vigilant parent keeping an eye. If you don't win, don't worry, they are for sale in WickedUncle and Cheatwell Games for £8.99, a great price for unlimited fun, don't you think?